I am concerned that talk about "Zero Tolerance" pushes us down the path of criminalizing and stigmatizing poverty without dealing with the underlying causes. I accept that there have been cases of aggressive or intimidating behaviour by people drinking in public or begging. However threatening, intimidating and menacing behaviour in public is already illegal. The police don't require the City of Fremantle to make declarations about "Zero Tolerance" in order to enforce the law. On the question of begging it's my understanding that this activity by itself is not illegal, so it's not entirely clear to me what the policy will achieve apart from putting up signs declaring "Zero Tolerance". The policy also proposes to establish charity donation points to allow people to give to those in need while discouraging "opportunistic" begging. Whether this will work or not I don't know. 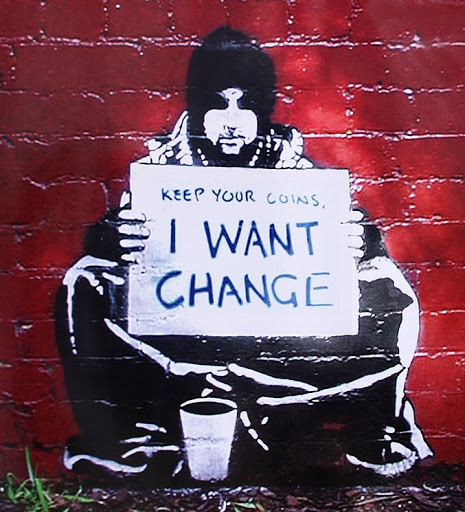 In my view neither giving to beggars nor charitable donations are a substitute for proper government policy to address the housing affordability crisis, homelessness, mental illness, family and domestic violence, and drug addiction. All areas that are woefully underfunded by our state and federal governments. While the City of Fremantle is not in a position to substitute for the federal and state governments in these areas, it should play its part. However it's a fact that the City now does less to support people facing homelessness as a result of relinquishing both the Youth Crisis Accommodation Service (2010) and the Warrawee Women's Refuge (2015), both steps that I strongly opposed. While these services were funded by state government grants, the City used to put in extra funding to top them up. As a result the City is now contributing around $500,000 less per year to directly help such people in need. Furthermore I've always been uncomfortable with the laws in Australia that criminalize drinking in public places. The problem is twofold. Firstly such laws disproportionally affect those who can't afford to drink in a licenced premises, which in our society means youth and Aboriginal people among others. I can't stand the hypocrisy which criminalizes drinking in a public place even if no harm is being done, while only meters away on the same footpath someone else can be drinking in an al fresco dining area. Secondly the laws which prohibit drinking in public places are not applied in a universal manner, reinforcing their tendency towards "racial profiling". We all know that "respectable" people enjoying a glass of wine with their picnic at South Beach are very unlikely to be asked to tip out their drinks, much less prosecuted. On the other hand someone drinking on a bench in the CBD can expect "Zero Tolerance" regardless of whether they are disturbing other people or not. In debate some of my fellow councillors acknowledged my criticisms, but they feel that cracking down on begging and public drinking is the only tool available to the City to deal with certain forms of anti-social behaviour in the CBD. Once again, I'm all in favour of the police and City rangers intervening to stop intimidating, abusive or threatening behaviour by anyone, regardless of whether or not the perpetrators are engaged in begging or public drinking. While I sympathize with the frustrations of inner city traders, I don't support adopting a punitive approach to those in poverty or dealing with significant life challenges. Our CBD is a public place and we must not go down the path of treating it like we are the managers of a private shopping mall.